Llanfor is a small settlement clustered around its church on the right hand side of the road just before you enter Bala from Corwen. 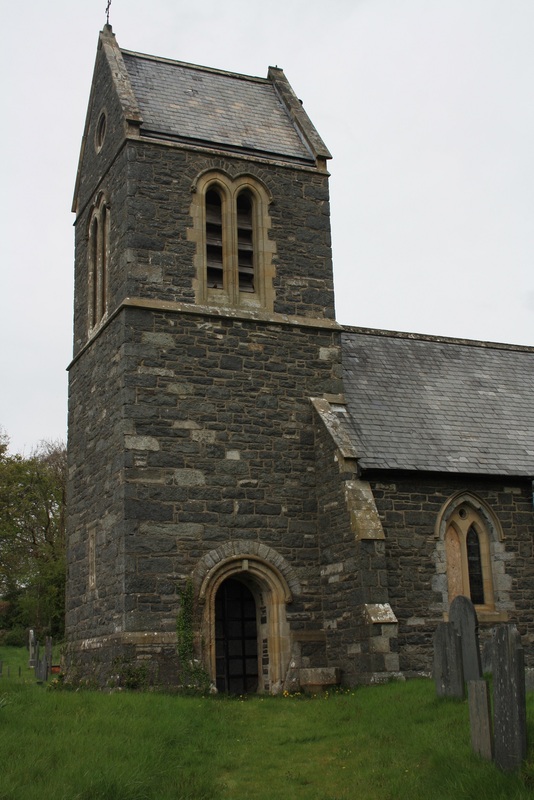 The church, dedicated to St Deiniol has been closed since the 1990s. I understood that it had recently been sold when I first visited early last year, but nothing appears to have changed there since then so maybe I was mistaken. It has also, at some times, borne a second dedication to a shadowy little known St Mor. It is more than probable that this is due to a misinterpretation of the name Llanfor which appears more likely to be a corruption of its earlier more usual name Llanfawr. The well associated with the church lies around 40 yards to the north east, beside a footpath accessible from the rear of the churchyard which runs back west parallel to the road. This path is supposed to be the remnant of the medieval route into the village. Lhuyd, at the end of the seventeenth century, recorded the spring as Ffynnon Ddeiniol, though by the start of the twentieth century the Royal Commission reported that this name was all but forgotten and that it was generally identified as the old well of the parish. 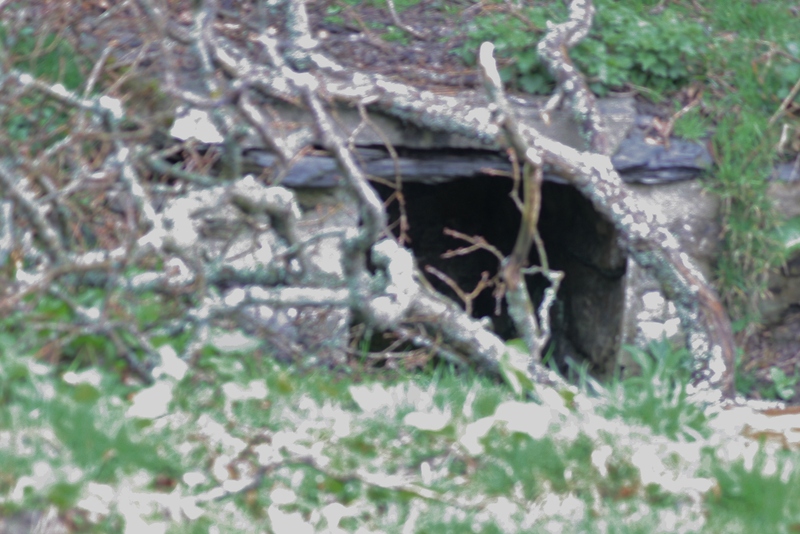 It was then surrounded within a rough stone enclosure some 3 feet by 2 feet 3 inches. It can now be seen within a small, three sided construction of stone, brick and concrete roofed over with a large stone or slate. The field in which the well stood was known as Cae’r ysgubor. In recent years the area around the well has been incorporated within the garden of the house at the foot of the hill. The Royal Commission stated that the stream from the spring once flowed through the churchyard. When we first visited the area around the spring had been landscaped and the stream flowed downhill for about 20 yards before forming an ornamental pond. 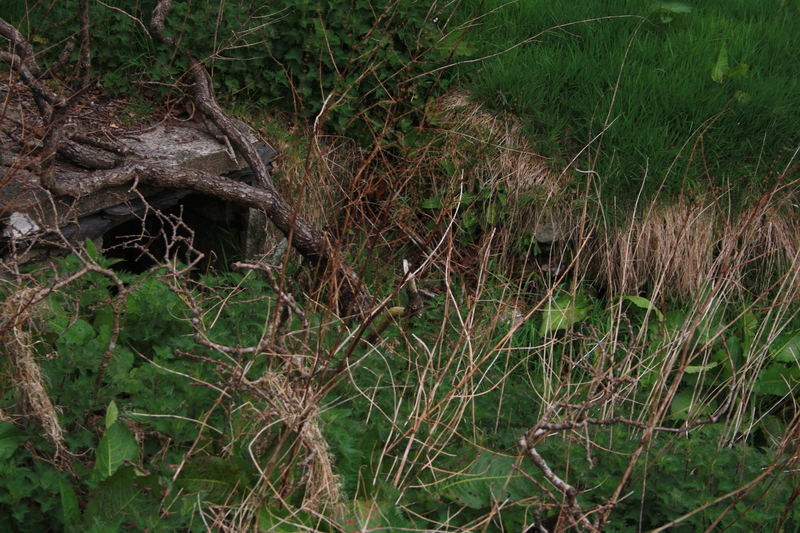 On this visit we found the area around the spring much more overgrown with the pond drained and abandoned. With no one around it wasn’t possible to get a closer look. A substantial brick built feature close to the spring raises the possibility that at some time it may have been tapped for a water supply. This is wonderful to me, some of my family came from this area. Thank you for all this research you’ve done.